An unscented soap or bar denotes soap without scent or fragrance. These soaps are generally free of harsh chemicals which produce scent and grab the natural beauty of your skin. So it is quite usual that these soaps are gentle, rich with healthy contents for the skin. Here we have enlisted the review of best-unscented soap available online. The best advantage of these unscented soaps is that they are free of toxic and harmful chemicals and rich with essential features for every skin type even for sensitive skin. Your skin, especially of face part, needs very tender and special care which you can get through these soaps. 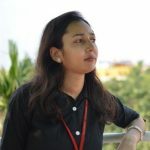 In our every day’s rush full life it becomes difficult to protect us completely from the environmental pollution and this mainly affects your skin as it is the outermost and sensitive part of your body. However, you can preserve your skin quality and beauty with the regular usage of a soap which can easily remove all the dirt which it has to face when you are out. The unscented soap will not only provide thorough cleansing to your skin but it will also ensure skin protection with its hydrating, nourishing and moisturizing features. So let us begin with the review of some worthy unscented soaps which you can easily buy through online shopping. 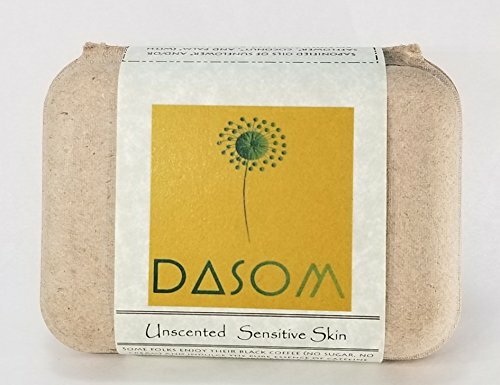 The DASOM Unscented/Sensitive bar soap is a certified organic soap which contains plant based ingredients means 100% pure and natural contents are its special feature. It is free of artificial scent and color and very much gentle which ensure complete care even for the most sensitive skin type. This organic and natural soap is good for all skin type. It claims to provide delicate care to your skin with its pure organic gentle ingredients. It lathers very fast on your body just like a body wash. This soft, gentle and organic soap is suitable for men, women, and teens too. The DASOM Unscented/Sensitive bar soap is free of synthetic ingredients that generally cause irritation on the skin. It has gotten its organic certification from DOA which proves its reliability factor. It is free of artificial fragrance and color. It contains the high-oleic type of organic sunflower and safflower oil which remains rich with 81 to 85 % oleic fatty acid. Other than that its other contents include palm, coconut and rosemary extract. As per the user’s experience is concerned this unscented soap has a list of 100% satisfied customers. People find it beneficial for their skin even in bad weather. It also fulfills the need of natural nourishment and water for their skin. By lathering well even with little ounce it gives the feeling of body wash. Also, its organic and safe ingredients are even suitable for teenage skin which remains very sensitive. Its oil content moisturizes the dryness of skin. It helps to reduce skin irritation. It is suitable for men, women, and teens. It is safe for even most sensitive skin type. It contains the natural and very soft smell. As of now, this soap has no cons or issue. The DASOM Unscented/Sensitive bar soap contains all essential features which are needed for complete care and beauty of skin. As it is based on organic and laboratory tested ingredients so there is no risk of allergy with this unscented soap for any type of skin. This will be a worthy purchase for our readers. The White Wolf Creek is one of the best-unscented soap which ensures overall care and protection of your skin. This soap is specially made for people with super sensitive skin type. All its ingredients are 100% organic and free of artificial fragrance, color and other chemicals which can do more harm to the skin than good by sucking its natural glycerin. The White Wolf Creek is a certified organic soap which claims to give care from the irritation and redness occurring due to acne and dryness. All its ingredients are organic and pure which is suitable for men, women, teens, and kids also due to its gentle and tender support. This soap has received organic certification by going through all necessary testing for this certification. It is free of toxic and harmful chemicals which gives temporary brightness to skin and then causes dryness. Its pure organic ingredients keep your skin moisturized and hydrated even after several hours of wash. It is free of fragrance, colorants, preservatives, chemicals and non-GMO. This is the reason it is suitable for kids and people with sensitive skin and nose. It contains saponified oils of safflower, sunflower, palm, and coconut. 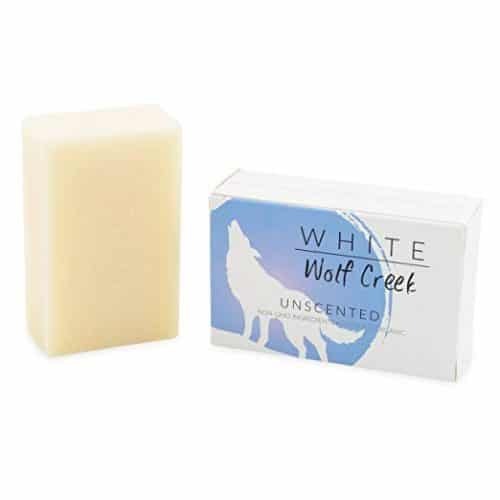 The White Wolf Creek unscented soap has huge numbers of users because of its suitability and perfectness on all skin types with its gentle, chemical free and organic ingredients. Those who have used this soap have found it very effective in their sensitive skin and nose. Also, they get relaxation of their acne effects on the skin as it helps to reduce redness and dryness on the skin. This soap is free of chemicals, color, preservatives, and fragrance. It is good for people of all section. It is suitable even for super sensitive skin type. It lathers well on skin. It helps to reduce redness on the skin caused by dryness and acne. This is a certified organic soap. It provides after wash nourishment with its moisturizing effect. One of the users of this soap faces the issue of skin dryness after its usage. The White Wolf Creek unscented soap is one stop solution for you if you have a super sensitive skin as well as nose. Its gentle organic ingredients are even suitable for teens and kid’s skin too. Apart from thorough cleansing it also nourishes your skin naturally. This is a must recommendable product for our readers. The Dove Beauty Unscented Bar is another best-unscented soap which is medically tested and proved to its advantage and features for the super sensitive skin. This is hypoallergenic so those who have frequent acne issue can use it in their skin fearlessly. The Dove Beauty Unscented Bar is rich with cream content which moisturizes your skin along with cleansing it thoroughly. This soap is free of artificial fragrance and harsh chemicals that is why it is the number one choice and recommendation by the dermatologist. It claims to provide relief from skin sensitivity issue and after wash care to skin with deep nourishment. Approx. 1/4 content of dove is made up of moisturizing cream and cleanser so this way it is two in one soap which offers thorough cleansing of your skin without damaging the natural moisture of your it. It contains Stearic Acid, Sodium Tallowate, Lauric Acid, Sodium Lauroyl Isethionate, Sodium Stearate, Sodium Isethionate, Cocamidopropyl Betaine, Sodium Chloride, Tetrasodium EDTA, Dipropylene Glycol, Titanium Dioxide, Maltol, Water, etc. The users of this unscented, hypoallergenic soap are one of the most satisfied customers with its effective and fast relief from many skin issues like dryness, breakout, and scars. It ensures amazing radiant look with regular use without any side effect even on the super sensitive skin. It is often recommended by pediatricians for the kids. This soap is free of fragrance and harsh chemicals. It keeps skin moisturized even after a wash. It provides though cleansing even to an acne prone skin. It is suitable for teens and kids. One of the users of this soap notices rash and break out in the skin after its use. 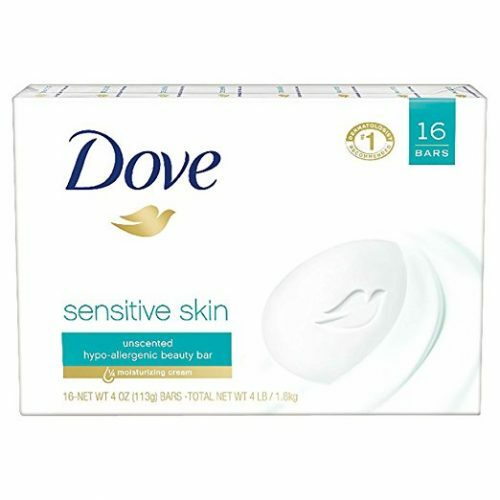 The Dove Beauty Unscented Bar is a big brand in soap as well as the cosmetic industry. It’s all products are always dermatologist approved and that raises the trust factor for this soap. This unscented soap is suitable for those who are more sensitive to smell. This will be a worthy purchase for our readers. A La Maison French Hypoallergenic Unscented Bar Soap is rich natural ingredients which are 100% safe and effective for sensitive skin. It calm and soothe your skin to relive from existing skin allergies and keep your skin soft and smooth with regular use. It claims for 100% care and protection to skin with its hypoallergenic feature and healthy natural ingredients. It helps to keep skin moisturized without any use of an additional moisturizer after wash. It is suitable for the whole body and for every skin type. It is rich with natural and skin friendly ingredients which can ensure complete natural care and protection of your skin. As it is free of artificial scent, color, and harsh chemicals so those who often observe breakout and pimples can apply it as it will relieve these skin allergies and also adds natural moisture intact to it. Its primary ingredients include water, vegetable glycerin, coconut and/or olive oil, tocopherol (Vitamin E) and palm. The users of this unscented soap are very satisfied with its amazing benefits for their skin. This is a multipurpose soap which relieves allergies and ensures skin nourishment with its natural gentle creamy content. It relieves from skin allergies and provides radiant bright and smoother skin with regular use. It leaves behind moisturized and supple skin. It is free of artificial scent and color. It is extremely good for super sensitive skin. It provides relief from skin dryness with its moisture content. It is free of harsh chemicals so suitable for kids also. It requires so much water to rinse it off completely. A La Maison French Hypoallergenic Unscented Bar Soap is one of the best-unscented soap which comes with multiple features for complete care of your skin. It is suitable for people of all ages and all skin types. If you are the one who is highly sensitive to smell then this will be the most reliable soap for you. This is the must recommendable unscented soap. Last but not the least, the Basis Sensitive Skin Bar is another top quality bar for face and body. This is a multipurpose soap which doesn’t work like normal soap. It works as a cleanser, natural healer, and moisturizer and after cleansing keeps your skin calm and soothing with its Aloe Vera and chamomile content. It claims for perfect cleansing and after wash care of the skin. It is based on gentle formulation which makes it suitable for super sensitive skin too. It is free of fragrance, dyes and other harsh chemicals which provides temporary cleansing then make your skin dry. Its natural healthy ingredients keep your skin calm and comfortable for very long hours. This unscented bar is free of fillers, dyes and other toxic chemicals. All its ingredients are laboratory tested and approved. It can be rinsed easily as it is not stubborn in nature. It contains Sodium Palm Kernelate, Sodium Cocoate, Sodium Tallowate, Glycerin, Almond Oil, Aloe Vera Extract, Petrolatum, Chamomile Extract, Pentasodium Pentetate, Lanolin Alcohol, Titanium Dioxide, Triple Purified Water etc. 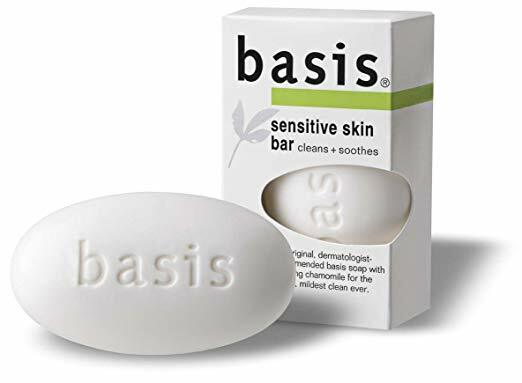 The Basis Unscented Sensitive Skin Bar is one of the best fragrance-free soap bars and it is often recommended by the dermatologist because of its numerous features and benefits for the skin. Those who have used this soap have a very wonderful experience regarding this. They found relaxation from the hard smell that in general, all soaps contain apart from that, they also got the reduction in their skin inflammation. It lathers very well on skin. It is gentle and safe. It is suitable for sensitive skin type. This soap offers thorough skin cleansing. It is free of fragrance, artificial color, and fragrance. It relieves from skin rashes and other allergies of skin. It ensures smooth, nourished and hydrated skin after wash.
Its aloe vera content calms your dry and patchy skin. Few users claim for its intense scent which is a rare case. The Basis Sensitive Skin Bar is a multipurpose bar. It’s gentle and skin friendly ingredients make it suitable for all skin types. Also, it improves the skin quality by making it softer, smoother and radiant with regular usage. It will be a worthy purchase for our readers. 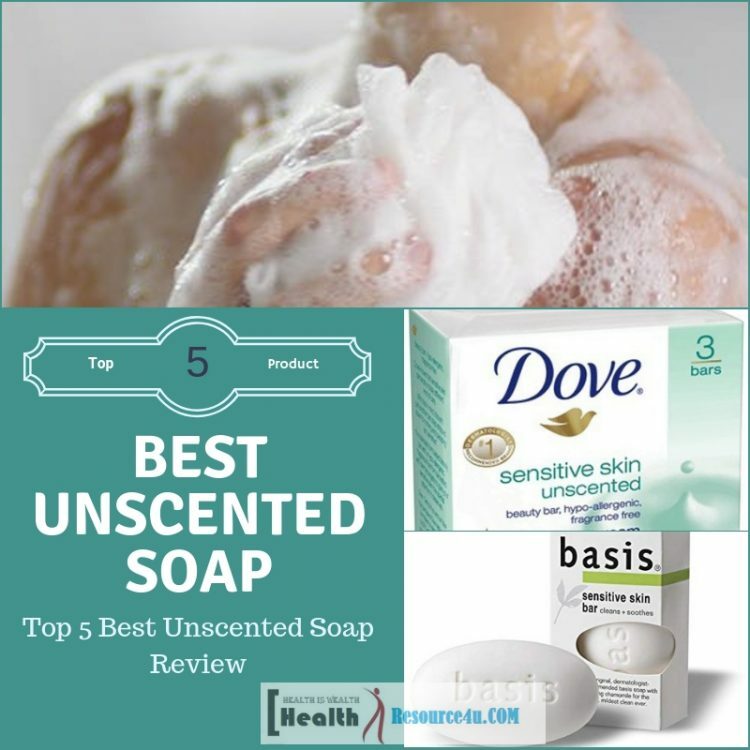 We hope our list of the best-unscented soap in this article would be helpful for our readers and they would get better guidance regarding the selection of most beneficial and effective unscented soap. All these soaps are best and unique with their some special individual features. So you can pick any of them as per your liking and skin requirement.